Hopeful this will happen again this winter! soon and a late January opening is possible. This is good news, but the reality is that the sale is not final, and there is a lot of work to do complete the sale and get the mountain open. Recognizing this, the current and prospective owner they have given current passholders 3 options for this winter. This is the biggest news of the announcement. For folks that want to (or have already made plans) to ski elsewhere this winter, they now have an out card and can get their money back. Both Sugarloaf/Sunday River and Shawnee Peak have special season pass rates for folks that have purchased Saddleback season passes. In Shawnee's case, they are marketing a Season Pass to last year's passholders too. I want to commend the Berry's for offering this refund option prior to the sale going through. Keep pass and receive 50% bonus - By waiting for opening day, you will receive an additional 50% resort credit bonus added to your season pass that can be used anywhere in the resort: food, tickets, lessons, rentals, seasonal locker rentals, future season or day passes etc. This may be used this year or next. Convert Pass to Gift Card + 50% Bonus - The amount of your pass purchase will be placed on a gift card and by waiting for opening day you will receive an additional 50% resort credit bonus that can be used anywhere in the resort: food, tickets, lessons, rentals, seasonal locker rentals, future season or day passes etc. This may be used this year or next. Both options have positive's and negatives and you have to assess your own situation to see what works for you. It is important to note if you convert your pass to a gift card you are giving up the pre-season rates. That is if you buy a pass later this season it will be at the published price. If you need your money back go ahead and get it now. Just keep an eye on Saddleback and if it opens, make a day trip or two (or more) this year and make plans for 2016-2017 season pass back at Saddleback. For those looking to hang in there, wait a bit and see if the sale goes through. Three things could happen. Absolute worst case and unlikely scenario, the sale collapses and Saddleback does not open, you get your money back. Saddleback sale happens but opening is delayed into February; then the Convert Pass to Gift Card + 50% Bonus becomes more of an consideration. You basically have to decide how much you are going to ski Saddleback this season and see if the math / money works for you. Once the official word of the sale and opening date are announced, you can do what is best for your situation. Buy a Shawnee Peak Season Pass at $150. This is a very nice mountain and at this price, you only have to ski there three times to have the pass pay for itself. As of this writing (December 20) they are open for the season. 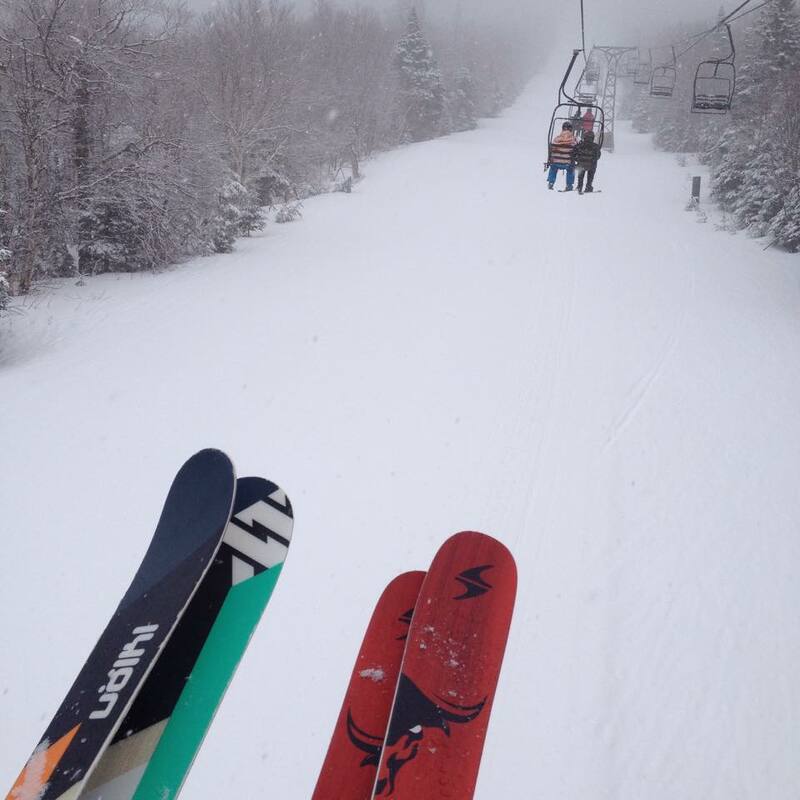 Ski Black Mountain of Maine - $15 Friday / $29 Saturday. This place reminds me a lot of Saddleback. Great family vibe, fun trails with +1,300 ft vertical drop, good learning area, outstanding nordic trails, very nice base lodge, reasonable ticket prices and some outstanding gladed terrain. You can ski here affordably and get an outstanding community mountain experience. If you think you might ski here 10 times or so a season pass may make sense too. As of this writing they are hoping to open December 26. Our other favorite mid-sized mountain is Mt. Abram. I don't believe they are offering any deals to Saddleback passholders, but when the snow is on, the terrain at Mt. Abram is really good. Definitely worth a day-trip or two regardless of your pass status. As of this writing (December 20) they are open. There are lots of great ski areas in Maine. Check them out! So this Saddleback situation is still quite challenging. When this is all settled, it will make an interesting business school case study. While we understand the frustration of many, @MaineSkiFamily chooses not to look backward but look ahead. We will play the hand that we are dealt and trust it will all work out for Saddleback somehow. For now, we just need some snow!!! What do you think? Share your thoughts in the blog comment section or on our Facebook page.